A big welcome to everyone! This month sees new doctoral students joining our research community. A huge welcome to all doctoral newcomers this month from everyone here at the Doctoral College. We hope you are settling in well! 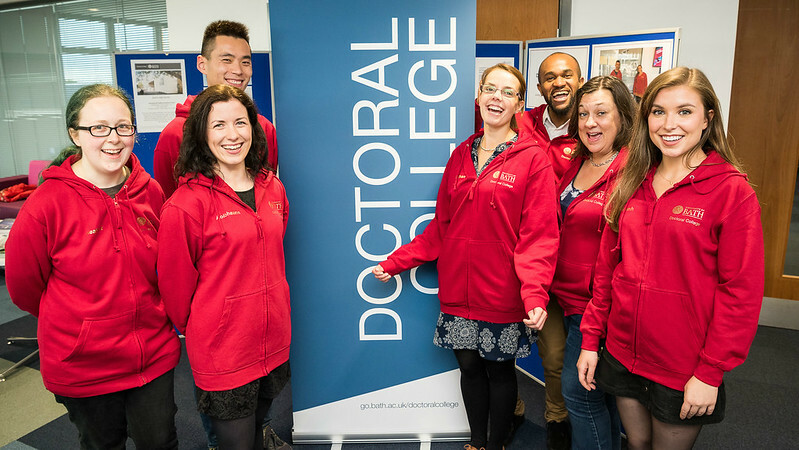 Your Doctoral Welcome Team, made up of current doctoral students, has put together an arrival guide and short video with lots of information to help you settle into doctoral life as quickly as possible. You can see all of this information and more on the Welcome Team blog. In addition to your Doctoral College Handbook and the programme handbooks you’ve received, the Doctoral College has a wealth of information for you as new students including an events programme that will help you to meet new people and get your bearings too. As you weren't able to make our Welcome Reception in October, we captured some pictures and the opening speeches for you, where you can get to know our Pro-Vice-Chancellor for Research, our Students' Union Postgraduate Officer, Liam Emery, and our Director of Student Services, who has an important message about taking care of yourself, colleagues and friends throughout your doctorate. We've also collated some online information from exhibitors at our Information Fair in November. And if you like free cake and coffee, come along to ‘Cake in the Commons’ every Friday between 10:30 and 11:30 in 10W 5.01. It's a great way to meet other researchers. Happy reading and we look forward to meeting you soon!